(COLUMBUS, Ohio) – Low back pain is a common complaint among both elite and recreational runners, but the true cause of it remains a mystery. So researchers at The Ohio State University Wexner Medical Center used motion capture technology to observe how a runner’s muscles work while they’re in motion. Chaudhari says it’s very common for even well-conditioned athletes to neglect their deep cores, and there is a lot of misinformation online and in fitness magazines about core strength. To strengthen the deep core muscles and prevent injury, runners should focus on exercises that force them to fire their core to hold their body in a stable position. Try exercises like planks or bridges on an unstable surface such as a Bosu ball or balance disc. Ajit Chaudhari, PhD (left) and Mike McNally observe a simulation of a runner in a laboratory at The Ohio State University Wexner Medical Center as motion capture technology records how each bone and joint are affected with every stride. Kayla Borchers performs a plank on a Bosu ball. Stabilizing your body on an unstable surface is an effective way to strengthen the deep core muscles. New research finds that these muscles are commonly weak in runners, which often causes back pain. Kayla Borchers says she no longer experiences low back pain while running after incorporating exercises into her routine to strengthen her deep core muscles. A stronger deep core has also allowed her to run faster and longer. 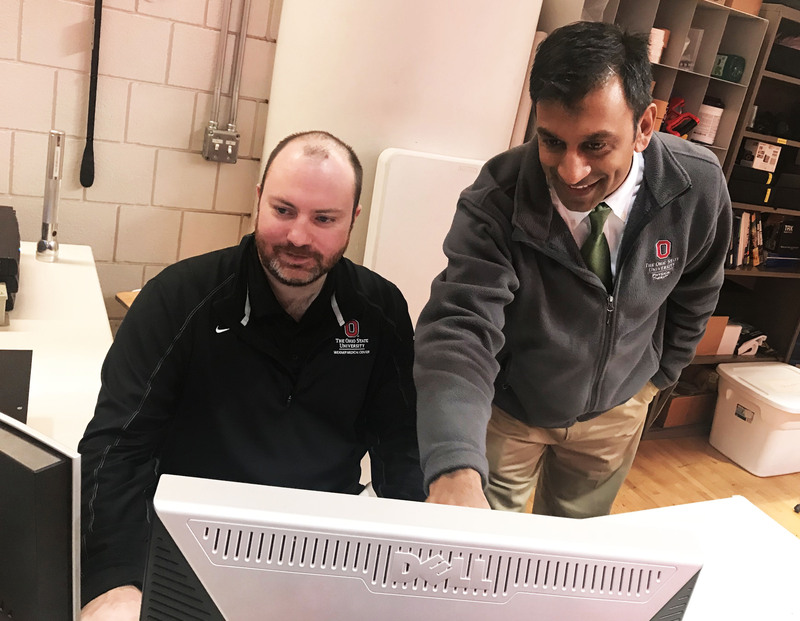 Ajit Chaudhari, PhD (right) collaborates with fellow researcher Mike McNally as they examine what causes low back pain in runners. 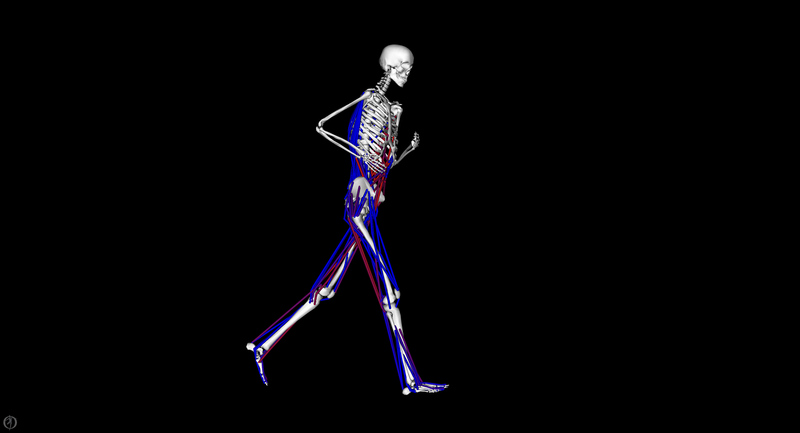 They’re able to do this by building computer simulations of runners in a lab and virtually “turning off” specific muscles to see how it affects the rest of the body. Kayla Borchers practices exercises that fire her deep core muscles by holding her body in position on an unstable surface. These exercises have eliminated her low back pain and made her a more efficient runner. 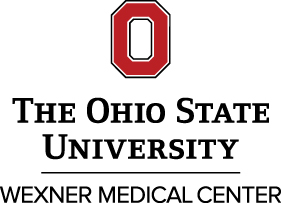 Researchers at The Ohio State Wexner Medical Center built simulations of actual runners in a laboratory to discover the cause of back pain. It allows them to virtually “turn off” specific muscles and observe how that affects other muscles, bones and joints while running.